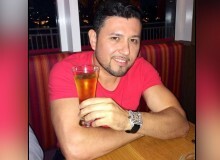 The former "La Voz Kids" coach has a song that sounds really creepy now after the allegations against him from a teenager. Fifth Harmony has found an unexpected addition to the band and former member Camila Cabello weighed in on the news. Still not in the Christmas spirit? These songs will definitely get you in the mood! Natalia Jimenez debuted the anticipated tribute album to Jenni Rivera, "Homenaje a la Gran Señora." Is it worth it? Read our review here! 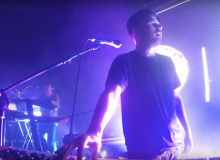 Chilean Electro Pop Band De Mónaco goes up on the charts and transforms Latin music with a different and interesting sound. Bisbal Is Back With New Music After 2 Years! David Bisbal returns with a modern new album "Hijos Del Mar" after two years of absence. Bruno Mars took to Twitter to announce his latest album is finished and teased with the video of his latest single "24K Magic." 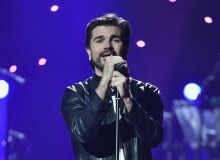 Watch Juanes New Music Video 'Fuego' Here! Juanes just released "FUEGO," his first new music video from his first major visual album almost two years since his last music video. Watch it here and learn why "FUEGO" is definitely on fire! French Montana involved in a traffic stop; takes to Instagram. Thalía will be performing in New York tonight, Wednesday, September 28. Let's celebrate with 30 of her hottest looks ever. 30 Times Jesse & Joy Looked Adorable! 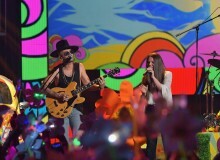 Mexican brother and sister duo, Jesse & Joy, have been nominated for four Latin Grammy Awards. 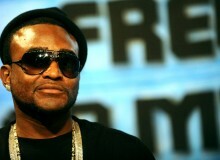 Take a look into the life of Carlos Walker a.k.a. Shawty Lo. One of our favorite superstars, Demi Lovato is turning 24 on August 20 and we want to wish her a Happy Birthday! 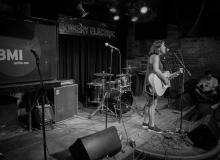 Here are some things you might not know about this young diva! Jennifer Lopez just announced that she is extending her Las Vegas residency. In her honor, let's take a look back to J-Lo's most spectacular stage costumes. Meet Manu Manzo, Rana Santacruz, Vanessa Zamora and Too White To Be Mexican — four Latin artists you need to be listening to right now!